Connect with Creativity. 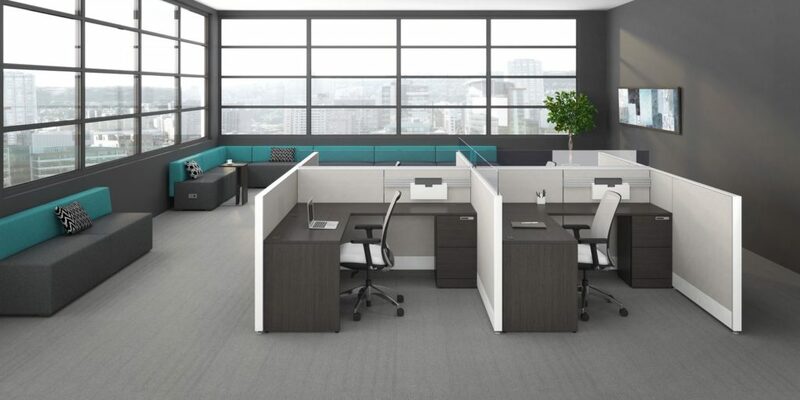 Just as atoms combine to form molecules and matter, Uni-T elements come together to shape the environment where you work. Whether your team leans toward individuality or collaboration, the Uni-T system lets you tailor workstations to the style, personality, and needs of each person. 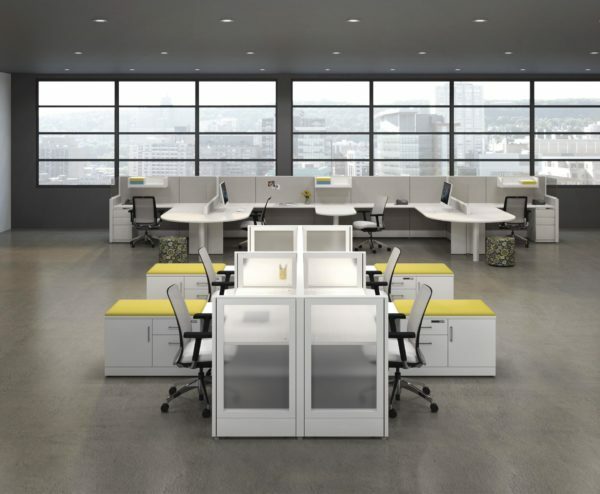 The Uni-T collection of office furniture allows you to create enclosed offices and shared open areas which makes it the perfect solution for your new work space. With a variety of practical storage solutions, your workers can get the job done in style. 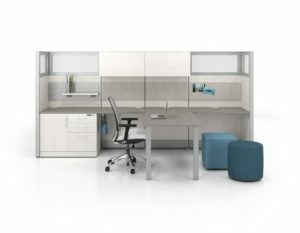 Accessories – With a vast range of options and accessories, Uni-T opens up possibilities for creating enclosed offices or shared open areas. 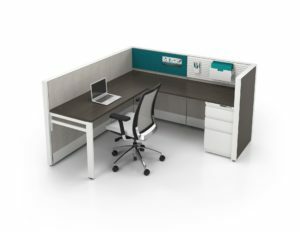 Storage – Practical storage solutions can be used to define space in team environments: open pigeonhole shelves, shared cupboards with sliding doors, metal pedestals, and low filing cabinets. Stylish Choices – Choose from colours, materials, and textures designed to coordinate all your work areas with one unifying style. Customizable – Base panels come in 5 sizes, with options for transparent surfaces or fabric or laminate on 1 or 2 sides. 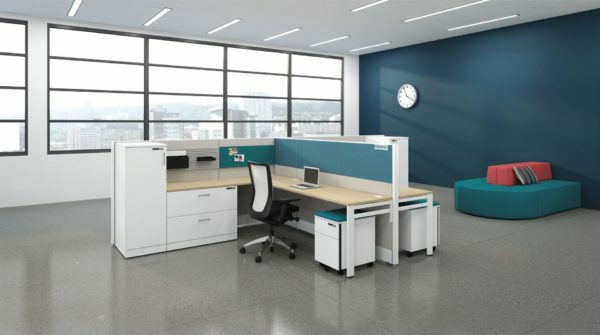 Uni-T is compatible with all Artopex office furniture collections.